Going off to college can be quite the adventure. It is often a new and exciting experience, as many college freshmen are leaving home for the first time. 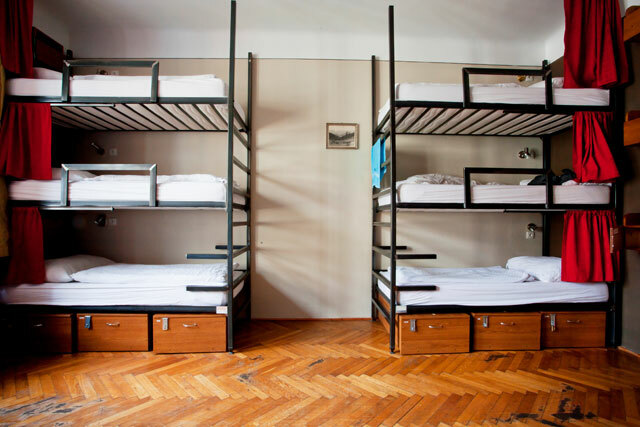 There is a lot to learn about facing the world of college life, particularly living life in the shared space of a dormitory. Here are a few life hacks and college laundry tips that may smooth the way as college freshmen are venturing out into the world of life and laundry. Save Your Quarters: Some laundry rooms use swipe cards that you can pre-load with money for doing your laundry. If yours does not, then save up your quarters. You will need them if you want to have clean clothes. Ain’t Nobody Got Time for That: What do you do if you have too much to do and not enough time to do it? That sounds like the life story of many college freshmen. Save laundry time by putting your jeans in the freezer. Over-washing your clothes can actually make them wear out a lot faster. If your jeans smell a little funky but don’t have any stains, putting them in the freezer for a couple hours will freshen them up. When you take them out, they will have lost the odor and you will have had time to do your homework instead of the laundry. Ink Removal: Stained clothes are enough to make you call home to Mom for some advice. Ink stains are hard to get rid of, and they usually show up on your favorite clothes. If you are one of the lucky ones, maybe you were sent off to school with a list of college laundry instructions that included stain removal. If not, try this easy and inexpensive idea: Spray your ink stain with hair spray or soak it with hand sanitizer. Let it sit for 10-15 minutes, then throw it in the wash. Quicker Drying: College laundry advice may address ways to get the laundry done in less time. You can save time drying your clothes by adding a clean and dry, fluffy towel to the dryer along with your clothes. The towel will absorb some of the excess moisture from the clothes and speed drying time. Remove the towel after the first 15 minutes and hang it on the back of your door to air dry. It should be dry when it is time to take to take a shower. Freshen Up with Fabric Softener: Softener makes your laundry smell great and cuts down on static cling. Mix a little bit in a spray bottle of water and spray your clothes for a fresher smell without a trip to the laundry room. Costly Detergent Deterrent: College laundry tips that save you money are the best. If you are running short on laundry detergent and cash, don’t despair. Stop at the grocery store and buy a box of baking soda. It is cheaper than detergent and will work just as well. Add cup to the washer in place of detergent, and your laundry will come out sparkling clean. Pink is NOT the New Black: If you don’t like pink or gray clothes, keep your laundry sorted. When the dark clothes get mixed with the light clothes, some strange colors can occur. Using two hampers or laundry bags will help you avoid the mess and keep the whites white, just like Mom and Dad taught you. Set Your Timer: Most college students have a phone with a timer feature on it. If you don’t plan to sit in the laundry room while your clothes are washing, set the timer. It’s not fair to others for you to put your clothes in and then forget about them. Do the same thing when you put the clothes in the dryer. You don’t want to be the laundry room hog who everyone complains about. Plan Your Laundry Time: It can be unbelievably frustrating to head out to do your laundry and find that the machines are all being used. You can avoid this with a little creative scheduling. If you are a morning person, head to the laundry first thing in the morning. Or maybe you can get your laundry done while your dorm-mates are at the football game. Of course, that only works if you hate football! The point is to plan your laundry time when everybody else isn’t already doing theirs. You’ll Catch More Flies with Honey:“Please,” “thank you,” and respectful behavior will serve you well wherever you go in life. The best college laundry advice you will ever hear includes all of those things. Be polite while you are doing your laundry, even though laundry is not fun. No one really wants to be in the laundry room. Do your best to keep things calm and clean, and your dorm-mates will thank you for it. College laundry instructions are a lot like college life instructions. Be thoughtful of others. Be frugal and save some money when you can. Be smart, and listen to the advice you are given. And enjoy your college experience!